Caroline Osborn, who died on March 24th, was for more than 30 years the driving force behind the What Hi-Fi? Buying Guide. After working as a diamond sorter among other jobs (she once recalled her embarrassment at arriving home from work to find a stone had fallen from the sorting table into her handbag! ), Caroline joined Haymarket in the 1970s. She became the proud guardian of the company’s first-ever computer, running the database behind the What Hi-Fi? Buying Guide. The database she built up was sufficiently encyclopaedic to be used as a reference for the entire industry, listing products current and past, tested and untested, and a huge depth of specifications. In the days before instant information on the Internet, the Buying Guide database was also an invaluable resource within the magazine, Caroline helping us plan Supertests and group tests by producing lists of products tested and untested at specific price-points or meeting particular criteria, making it easy for us to ‘fill the gaps’ in the magazine’s reviews. Driven by that early PC and a bank of fiercely-protected filing-cabinets, the ‘Computerised Buying Guide’ – as the cover of the magazine proudly proclaimed it – was updated monthly via a mail-out to every manufacturer and distributor, asking for notifications of product deletions, price amendments and new arrivals. Anyone ignoring the request did so at their peril, as they’d be on the receiving end of one of Caroline’s charming but firm follow-up calls, reminding them she needed information from them. As a result, to many in the industry Caroline became the voice of the magazine, not only running the database but producing the Buying Guide pages and organising and ordering products for review. She greatly enjoyed visiting shows such as those in Bristol and London and putting faces to names, although her experience of hi-fi events went all the way back to the legendary Harrogate shows in the early days of Haymarket’s hi-fi magazines. And she loved attending the What Hi-Fi? Awards and meeting the industry, so it was fitting that her 30th anniversary with the magazine was marked with the presentation of her own WHFSV Award, making her possibly the only individual – and certainly the only member of the magazine’s staff – to be presented with such an Award. Toward the end of her time with the magazine she drew on the enthusiasm for good music played on fine equipment she shared with her husband Tony to develop a sideline reviewing and writing audio news for Gramophone magazine, both of them enjoying the process of exploring a wide range of new products. She was my best friend for more than two decades, and when I was married a dozen years ago I was honoured to have Caroline agree to be my best man: though nervous as ever – she once told me that at school, as Caroline Williams, she’d been nicknamed ‘Williams the flap’ due to her ability to panic! – she delivered a hilarious speech, complete with a fine impersonation of one of Haymarket’s senior managers. 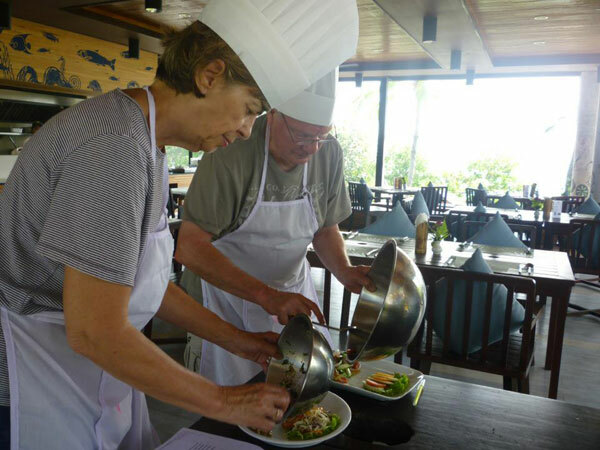 Since then, she and Tony certainly lived up to that last ambition, ticking off Russia, Cuba, China, Vietnam, Laos, Thailand, Singapore, Cambodia, the Amazon, the Galapagos Islands and many more, as well as trips to visit relatives in Australia. It was while she was planning arrangements and visas for their 2014 travels that Caroline suffered a brain haemorrhage, from which she never regained consciousness. She is survived by her husband Tony, sisters Annabel and Sian, and her three nephews. A very well written tribute. I am sorry for your loss. Fabulous tribute. Condolences to all that worked and knew her. A fabulous woman it was a pleasure to have worked with her for a be it short time.. much missed. Only knew Caroline a little but a warm, heartfelt tribute. What dreadfully sad news, but what a wonderful tribute to a wonderful lady. 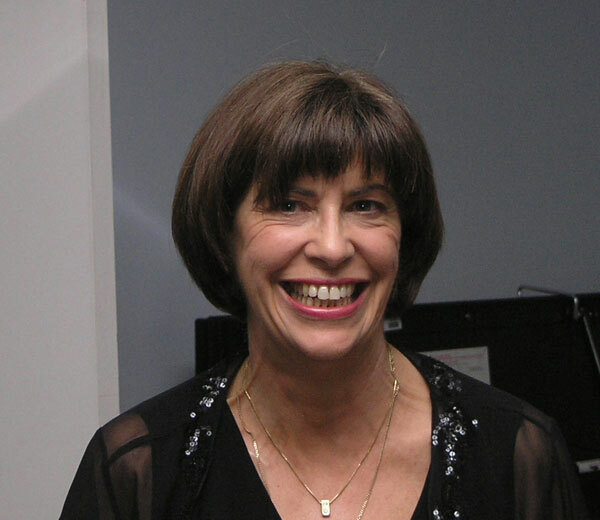 In my brief sourjourn into the wonderful world of hi-fi, Caroline was a joy to work with – tremendously helpful, keeping us all on our toes and with a wonderful smile and sense of humour. 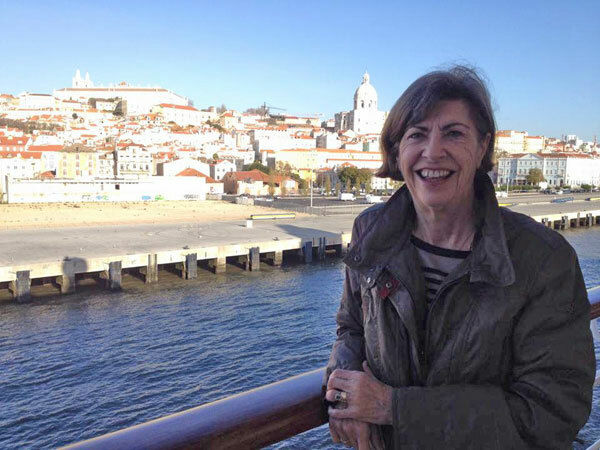 I lost my dear Aunt prematurely the year before last to a brain haemorrhage – life can be so cruel. But Caroline leaves behind loved ones and good friends – none more than you Andrew. Terribly sad news – she was a wonderful lady, and a lovely colleague. Always cheerful, always professional, always interested in what was going on. We’ll miss her. Lovely piece, Andrew. Thank you. Still can’t believe she’s gone. Such a genuine and genuinely lovely woman. A beautiful tribute I have shared with many, Andrew. You’ve done her such a huge service with this beautiful tribute. No one else qualified to talk of her more than you. Thankyou for reminding us all of what a ‘rare’ lady she was. We’ll take her memory with us and try a little harder to be as cheery and lovely as she was. Rest in Peace Mrs O – you will be hugely missed. A beautiful tribute, Andrew. Everyone who knew her will miss her, and will be grateful to you for this. So sorry to hear this sad news. I had the pleasure of working with both Tony and Caroline over the years. She was a lovely person. My condolences to Tony, the wider family and yourself. ‘I was saddened and shocked to hear of Caroline’s passing. It’s only when you lose people, you really realise what an effect they had on your own life and those of others as well. In all the years I knew her, I never found Caroline to be anything else but a real lady. When she asked how you were, or how was business, she meant it. She always showed what I felt to be a genuine and personal interest in you and your circumstances. Neither did she hesitate to tell you off for working too hard, or needing a holiday. We often joked about her being Lady Caroline, true enough she was a real lady, I will miss her. I’m shocked and deeply saddened to hear this news. I worked down the corridor in the Waldegrave Road, Teddington building from 1981-’88 (on Hi-Fi Answers magazine) and have many fond memories of her jovial spirit. Together with her husband Tony, who ran Haymarket Publishing’s photographic department at that time, we had many laughs – and lunches! – together. A lovely tribute to ‘Lady Caroline’, Andrew. My heartfelt condolences to Tony, her family and all her close friends. Very saddened to hear the news. Caroline was never far away in all my time at Haymarket and always ready with a cheerful word and her lovely broad grin. Sincerely felt condolences to Tony and her family and friends. I met Caroline, I think, in Hampton Rd in 1983. She was, without doubt, the rock of What Hi-fi? – I relied on her tremendously. And oh! That smile! What day wasn’t improved by that smile? My heartfelt sympathy to Tony. I shall try to find you and offer my condolences personally. Kevin. ‘I see many familiar names here and can only add my sympathies and agree with all the comments. I was with Haymarket and What Hi-Fi? from 1989-2002, and while many people have come and gone over the magazine’s long history, the one person who remained steadfast was Caroline. And now she too has gone. She was the reliable, dependable pillar upon which the magazine’s success was built. But above all, yes, she was that Lovely Lady – gentle, courteous, always willing to lend an ear, (and always taking those cheeky Wendy Craig comments with good humour!). Coming home from a week away it was as surprising as upsetting to hear news of Caroline’s passing from ex-Hi Fi Answers colleague Keith Howard. I first met Caroline in the late 1970s at Haymarket’s Foubert’s Place offices near Carnaby Street when I began as a freelance contributor and later as a staffer on HFA. Caroline’s attention to detail was remarkable – pre-computerisation it was a major achievement to produce a product listing of the type What Hi-Fi ran; to accurately update it every month, as Caroline did, was simply astonishing. I remember her politely but insistently asking me to bring her copies of product spec. sheets back from press launches. Later when I was a frequent visitor and sometime editorial resident at Haymarket’s Teddington offices it was always a genuine pleasure to pass the time of day with Caroline. I bumped into Tony and Caroline in London shortly before their retirement. I was delighted to catch up with their plans and enthusiasms and so it is especially to sad to hear this news. Caroline was a truly lovely person, honest and genuine. My condolences to Tony, to her family and friends. Thank-you Andrew for the opportunity to contribute and for your tribute. 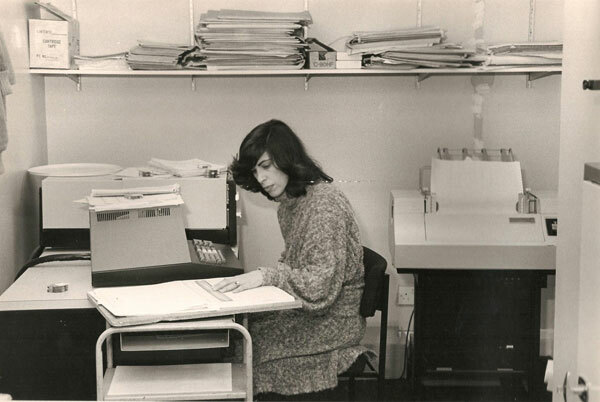 When I began my original stint with Haymarket in the autumn of 1977 – as David Prakel remembers, in Craven House – Caroline and Tony were already well established members of the organisation, and of course they remained that way while many others came and went: constants in a changing universe. It is human nature to take solid, reliable people for granted, and I certainly took it as read that Caroline would do what must have sometimes seemed a tedious job compiling the WHF? buyers’ guide assiduously and in perpetuity. It was impossible to imagine it being done by anyone else. But I remember her principally as a fun person to have around in what was, in that golden period of the Haymarket hi-fi mags in the ’80s before so many of us upped and left, a very fun place to work. You needed to have your wits about you in that office; Caroline enjoyed the banter and gave as good as she got. I particularly recall her being an enthusiastic if less than accurate participant in our occasional steam-venting elastic band fights when we were in The Causeway, Teddington, away from ‘the suits’ in Hampton Road. You could rely on Caroline to give a satisfying squeal when struck! I last saw her and Tony a few years ago at the funeral of John Houslander, an ex-publisher at Haymarket – one of only two, indeed, in the whole of the Hampton Road office at one time when Haymarket was the epitome of lean and mean. I suspect we were all feeling that this might mark the beginning of the time when old colleagues meet up at the funerals of other old colleagues but I never for a moment imagined that Caroline would be next to go. If the measure of the life lived is being recalled affectionately in many people’s memories, Caroline lived a good life indeed. My condolences Andrew, I’m sorry to hear of the loss of your friend. What a lovely tribute you’ve written. 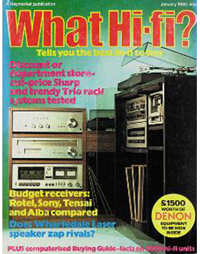 I spent many a day in my teens reading the magazine but also the buying guide and apart from wistfully wondering if I’d ever be able to afford some of the gear that was shown (my background was one of modest means), I was intrigued just who on earth put it all together every month?! Well, now I know. So this really is a belated thank you for what must have been a difficult task at times but which gave readers much pleasure too. Deepest condolences also to Caroline’s family. I was so very sad to hear the news of Caroline’s passing, and I would like to thank Andrew for his lovely tribute. It has been heart-warming, too, to read all the tributes and memories here, many from ex-colleagues of mine who I also remember fondly. My Haymarket days kicked off in 1974 and, to me, Tony and Caroline were always the much-welcomed faces of normality in what was mostly a fairly crazy place. And in my earliest days of trying to hack it as a journalist, they took me under their wing. Many years later, one of my happiest times with them was when we were all on a WHF “jolly” in Paris, and Caroline was absolutely determined that we would end the night in a left-bank jazz club, which – more by luck than judgement – we did. It was brilliant. My thoughts and sympathies are with Tony, Andrew, family and friends at this saddest of times.